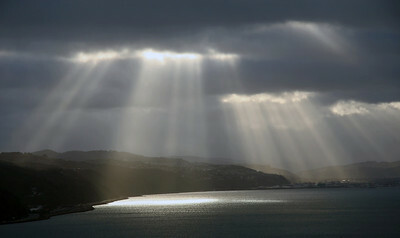 A collection of weather photos, mostly from around Wellington and the Hutt Valley. 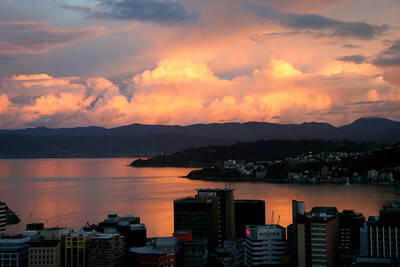 Sunset, Wellington Harbour - Thursday, 21st January 2010. 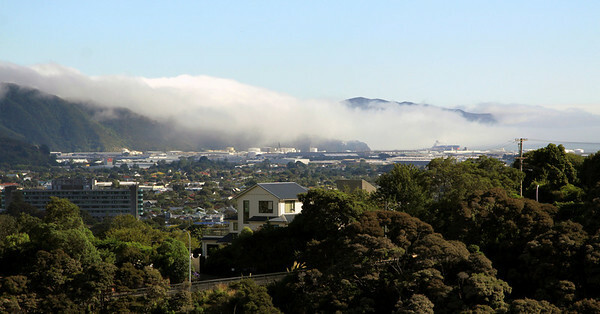 Sea fog rolls into Seaview (Wellington) in a light southerly flow - January 26, 2010. 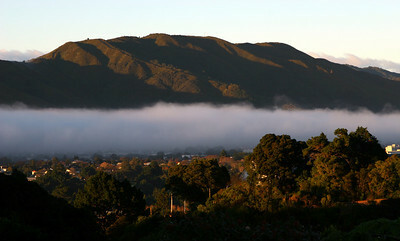 Early morning valley fog, Hutt Valley, 28 November 2008. 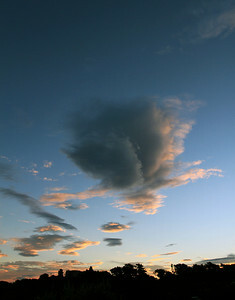 Developing cumulonimbus cloud over the Tararua ranges, 4pm 28 January 2010. 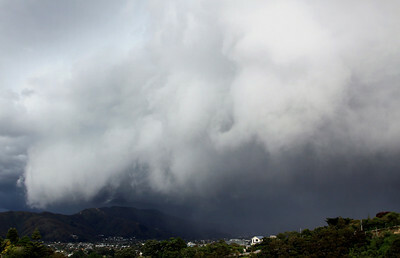 Southerly buster races up the Hutt Valley about 4:40pm Friday 12 March 2010 - very strong wind gusts, heavy swilling rain and thunder. 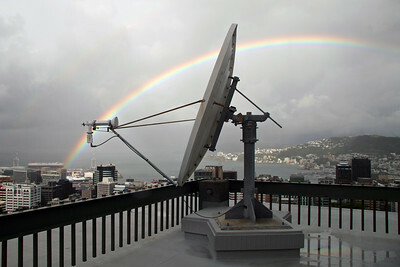 Lower Hutt AWS recorded a temperature drop from 21C to 9C and gusts to 55kt (102km/hr) with the change, while other stations around Wellington recorded wind gusts up to 72knots/133km/hr (Kelburn AWS) and 82knots/152km/hr (CentrePort Front Leading Light AWS). 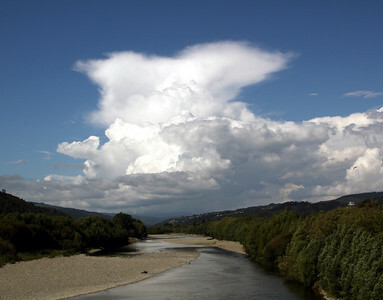 Thunderstorm over the Tararua ranges - 3pm, Monday, 23 August 2010. 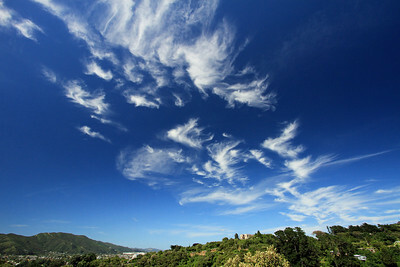 Cirrus clouds over Lower Hutt, 10:30am (approx), 23 December 2010. 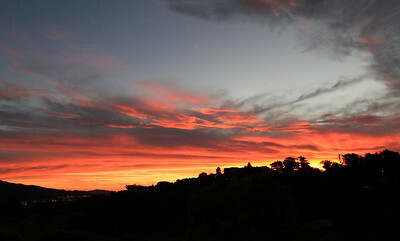 Sunset over Lower Hutt - 9:12pm, Monday 10 January 2011. 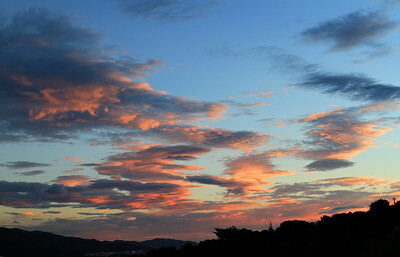 Clouds at sunset over Lower Hutt, 01 March 2011. 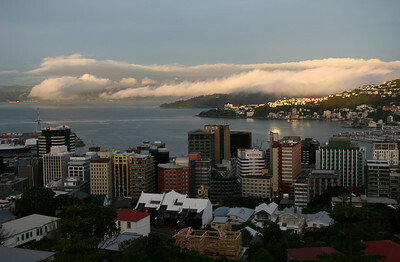 Low cloud creeps into Wellington harbour on a light southerly change - Saturday evening, 14 August 2010. 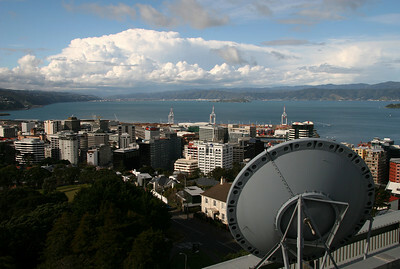 Hazy day over Wellington Harbour. 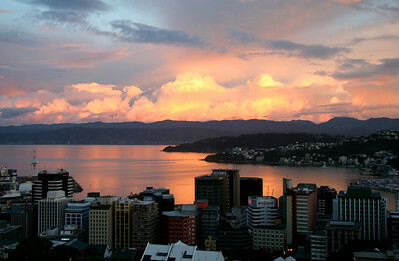 12 April 2011.